New Sony PS3 to destroy Xbox and Wii? 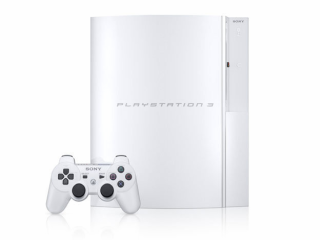 With the new 40GB PS3 model going on sale in the UK and Europe this week, this could be Sony's time to shine. Daniel Dawkins, editor of PSM3 Magazine in the UK, says the tide is turning and the PS3 will soon be a market leader. Dawkins predicts that the new PS3 might sell twice as many consoles in the three months to Christmas as the 60GB model has sold in the six months since launch. That would mean an enormous boom in sales, something that Sony Computer Entertainment Europe (SCEE) will certainly be hoping for. PS3 to hurt Xbox and Wii? "Will [the new 40GB model] convince people to buy a PS3? Of course. With the impending release of EA's excellent Skate, Pro Evo 2008 and Call of Duty 4 - plus system exclusives like Warhawk, Ratchet and Clank: Tools Of Destruction, Singstar and Haze, we've reached that critical tipping point where the price of hardware is low enough to justify the increasing volume of AAA games," he said. "Backwards compatibility is only annoying in theory, and will be leaped upon by the internet's legions of Sony naysayers. But be honest, how many times did you play PSone games on PS2? In my experience: once - to see if the graphics smoothing option worked. If you really want to play PS2 games, why not turn on your PS2? Sony isn't going to steal it when you buy a PS3. "Sales-wise, I'm pretty confident - and this will probably come back to haunt me - that Sony will sell at least as many machines in the three months to Christmas, as they have in the six months since launch. And, I suspect, possibly even double. "Now is as good a time as ever to buy a PS3, and only months into the new year we've got the massive exclusives like Metal Gear Solid 4, Little Big Planet and Killzone 2 to look forward to. Oh, and Gran Turismo 5. I honestly think we'll look back in six months and laugh at how Sony was perceived to be 'failing'. "The PS3 is a complex, high-powered machine, hence the initially high price and lack of games - and both are changing for the better."